Thanks to wutierson I managed to finish digital "metallic" (sample based) generator used in SDSV hihat / cymbal drum modules. In short: in original circuit, 555 generated a clock for series of counters, which outputs addressed EPROM memory. The memory output was send to DAC converter. 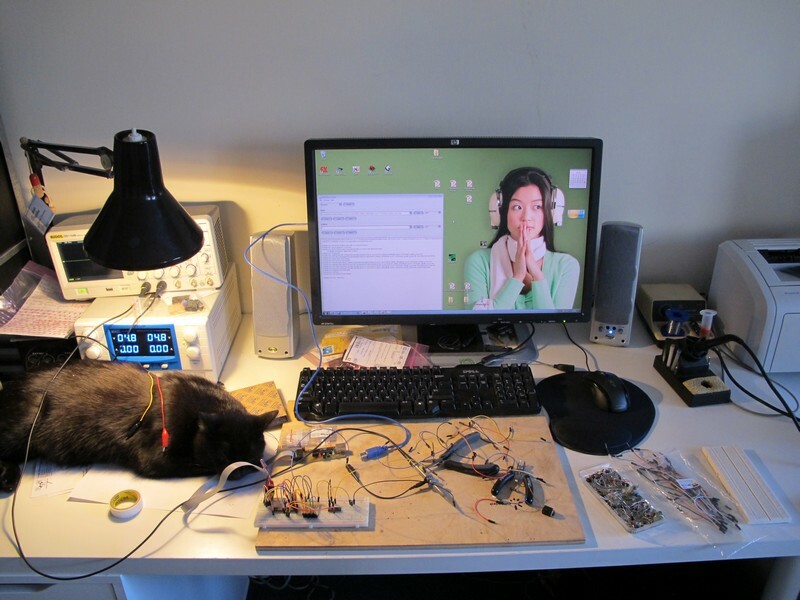 In my circuit I used ATMEGA8 microcontroller replacing 555, counters and EPROM. 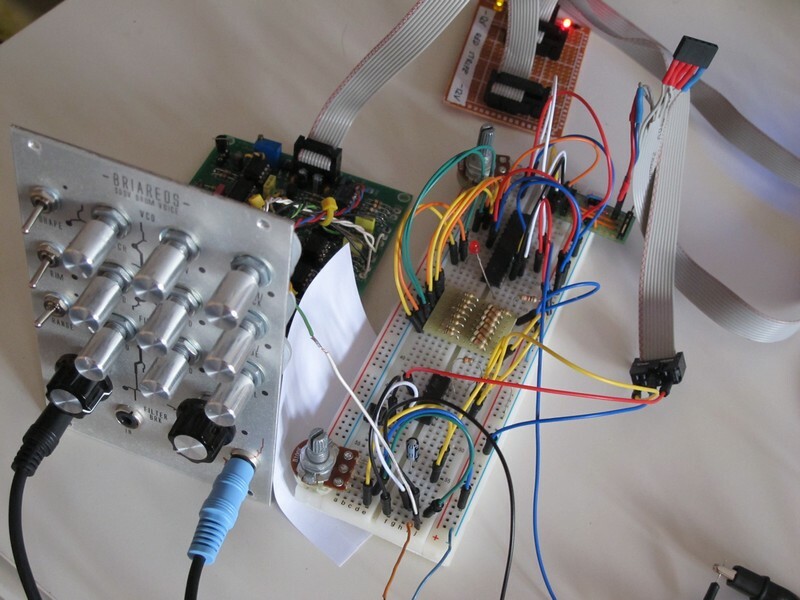 8 bit output is send to simple resistor/buffer R-2R DAC. The sampling frequency by default is 25 kHz and can be changed via CV input (so it can be modulated via existing SDSV LFO, ENV, rimshot, etc. or external CV). Low frequency "clicks" occurs due to lack of output hipass filter (there is a place for additional cap on PCB). At some point I have overdriven sound card input, it is not a module fault. Most sounds presented in video don't use sample rate CV input. Now I'm working on some nice, small PCB. The PCB is ready and went into production. Size 80x42 mm, one sided. Added simple tunable hipass filter. Circuit runs from +/- 12 V (+/- 15 V is also no problem). You can turn off ADC if you don't want to use modulation, there is also a jumper to set modulation range. Microcontroller runs @ 16MHz, the modulation input is sampled @ ~500 Hz, 8 bit. Everything runs on interrupts to get nice and smooth playback. Modulation input is protected via opamp / schottky clamp. There is place for voltage divider, it you would like to modulate it from 0-10 V source. There are 2 blinking LEDs: one shows playback speed, second if default speed is set. The PCB will be available on january 2015. For sure. So your doing a simmons huh? count on me for one . Will the "metallic" be working at it's own or do we need to get the Briareos too? What controls (jack / pots) are needed. except programmed IC, there are no obsolete / strange parts. Don't worry Big Ear! If you can live without additional triangle generator filter, the digital board fits perfect without any panel change. You jest have to connect +/- supply to it, RI2 solder point and replace VCO (or VCU) with digital board output. Basically, the digital PCB reuses triangle generator controls. OK, Good news. I'll want one. WIll you be selling programmed chips? I've added some info at first post. In short: prototype works, PCB is in production, added schematics and some info. Any news on your Boss HC-2 clone? Glad to see your work again Syntherjack! I was disconnected since long but it's a happy update! Isn't it possible to use a 3 way toggle switch (SP3T) ? 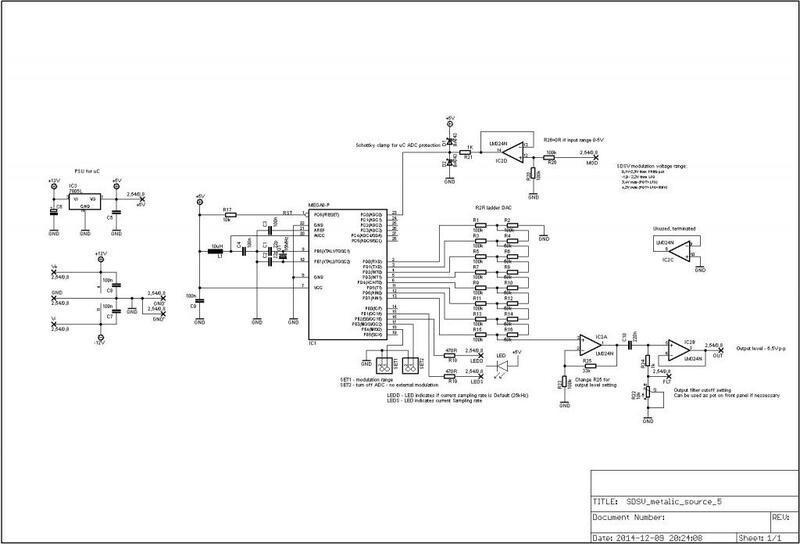 So you can choose between triangle (vcu), sine(vco) or the digital source ? 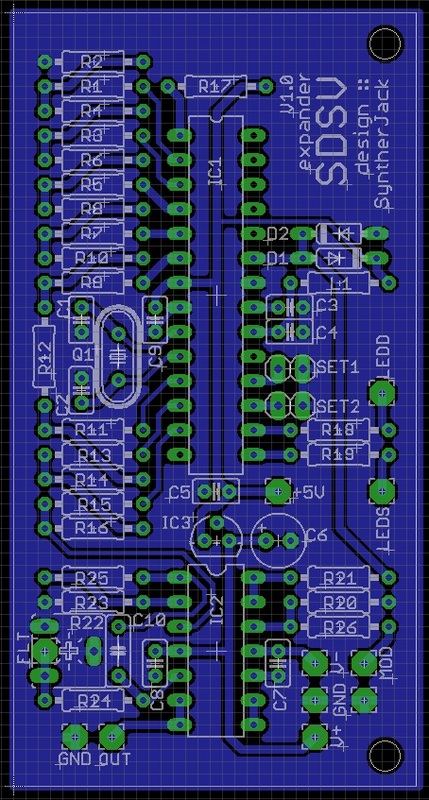 the PCB is tested and ready for production, I just have to make some software tweaks to make it perfect. SP3T (on-off-on) toggle won't work. ah I haven't posted my interest here yet.